Brain injury is a common injury after a motorcycle accident, a lot more common than most people realise. The results of an acquired brain injury can range from minor emotional issues up to severe cognitive and psychological problems. is different in the way affects the person and their family. Brain injury is never talked about in the bike world, unless it happens to a celebrity or a well known member of the community. but is far more common than most people think and unless you have had experience with someone who has suffered a brain injury it’s hard to even understand how bad these issues can be. I will say this upfront, i am not medically trained, so any information here is based on my perspective of a person who has a brain injury, so is only a guide. i will provide links where i can to appropriate sources. please take medical advice before relying on any information here. even though your helmet protected your skull, depending on your accident your brain slammed against the inside of the skull and then rebounded (imagine throwing a jelly at a wall.) and if you have seen the inside of a skull it’s not exactly smooth. their is no way i can say what symptoms any person will have because its totally individual, but some of the most common issues are Anger, Memory Fatigue and cognitive issues,And don’t forget not only does the person with a head injury suffer from these but their families and friends will be affected by them as well. It is sad to say that many relationships break down as a result of the effects of brain injury. If you or a family member have had to go through the trauma of a brain injury we would like to hear from you, we would like to share the stories of those that have had an acquired brain injury, so others know they are not alone or going mad, we can post anonymously if you wish, contact us here on this link and share your story. Anger is so very common after acquired brain injury and can be caused by many issues, It can be because Of the situation that they are in now which could include disabilities relationship issues on employment and changes to their life. Some people had anger issues prior to the head injury and could still be just as angry after. Or the complete opposite they could lose the anger altogether. But a lot of people get angry not by choice but because the part of the brain that deals with the ability to control your emotions is now damaged and chances are they do not even realise they are getting angry and it can be like flipping a switch. It can be very minor things that spark off these outbursts, then add this inability to control your temper to fatigue confusion and frustration then you have a ticking time-bomb. Now I know this is virtually impossible not to do but as a carer or family member on the receiving end of such anger please remember it really isn’t personal and is most definitely not aimed at you. I know that’s hard to accept and take in, but it’s true. From my experience normal anger management does not really help with anger caused by a physical brain injury, Cognitive Behavioural Therapy helped me the most, but it didn’t get rid of the anger, it helped me not be so outwardly aggressive, and keep it inside, but then that can cause more issues. This is one of the biggest causes of relationship breakdowns both with families and friends because they just cannot deal with the constant abuse violence anger and generally bad behaviour. I had an incident once where we had burgers but no buns and my wife said we could just have it in bread, but to me those two things just don’t go together and I had a massive violent outburst and that’s what I mean when I say it’s little things that can spark an outburst. I used to get so angry that they had to put me on lithium to calm me down. Memory issues are really frustrating as it affects every aspect of your life are both short-term and long-term memory can be affected. The secret I have found is routine, repetition and some sort of reminder system that works best for you. the most common ways to remember things are by having a whiteboard and write everything on it and check it daily, having a diary and again writing everything down on the dates that you need to be reminded on or by using your smart phone tablet or computer. I find that have something beep at me and nag me is what works best for me, so I have synced my phone, tablet and laptop all using Google calendar and alarms. for example if I have a hospital appointment in two weeks time i set four reminders for it, the first will be one week before the date, then three days before followed by one day before and lastly anything from one hour to 3 hours before the appointment as a reminder to leave home. Same goes for medication regular alarms and reminders every day. Fatigue just adds to the other problems as it just makes you feel exhausted all the time, and when you are already struggling with anger emotional and cognitive issues it can make it into a vicious circle, You will need to plan your life to allow for this. Having a personality change can be tough on everyone and probably more so on family and friends, because you don’t realise that it’s happening. The best way to describe this is to go to bed as one person and then wake up in the morning as another. Imagine waking up and not been able to read right do mathematics or have lost the ability to do all things used to love doing or even the things that you took for granted, and trying to do those things just leave you more exhausted frustrated and annoyed, but that’s the reality for a lot of people with brain injury. And whilst you can we learn some new skills if the cognitive functions that allow you to do it is impaired it becomes much harder and on top of that you almost certainly going to have the memory issues which make remembering harder. For me it’s all about repetition.You have to find the coping mechanisms that work for you. Sexual dysfunction can have many causes emotional or physical. On the emotional side if you have a personality change in any sexual relationships you have will almost certainly change, as your partner may not know who you are any-more. Physical issues can be the signals from the brain not letting you be able to get an erection also due to the nature straddling a motorcycle there can also be physical damage to the genital areas. As Rufty Tufty Bikers we don’t talk about Sexual Dysfunction after a motorcycle accident. Why! because that is one scar that is not bragged about, or cool enough to add to the story. All of these can destroy relationships self-esteem and people’s lives. Getting motivated after a head injury can be a real struggle so even if you are physically fit and healthy if you’re my niche is not in it, then you have no chance fatigue which is making you tired self-esteem from cognitive issues can cause an even greater lack of motivation. You have to have a thing that issue something which is about you and some extent something which is very selfish and you need to hold onto that for dear life for me it’s my photography and the fact that i can still be around custom motorcycles. It is sad to say that many relationships break down after head injury, relationships with family and friends can suffer. The trouble with brain injury is that it can cause a lot of dysfunctional and inappropriate behaviour, and everyone has their breaking point where they can take no more and as recovery from brain injury is usually measured in years rather than months or weeks this can make some very difficult cult situations for everyone. Communication is a thing we take for granted and when you have problems communication it can be hard for you and the person you are communicating. Problems can be varied and memory issues add to it for example when you can’t remember a word or what something is called then you go into catchphrase mode or mime, not being able to read another persons facial expressions or body language can also lead to communication difficulties. This is called Aphasia and is a condition that affects the brain and leads to problems using language correctly. 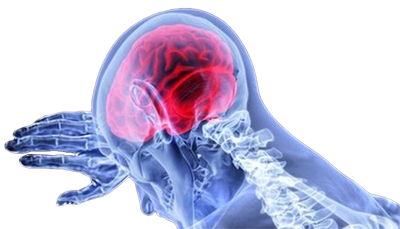 There are many physical effects that can result from a brain injury. Then there are the effects of the direct result of damage in the brain this can be one-sided weakness, loss of movement, loss of feeling, erectile dysfunction, loss of taste, smell, hearing or vision and the list could go on. This is by far the most common side effect of the brain injury. The massive changes to your life are not easy to deal with, and these days life is hard enough for those without a brain injury. So all of the resulting effects I’ve mentioned above all compound depression and make any recovery even harder. This section is under construction and will be updated as I get round to section, in the meantime if you need any information please contact me via the contact page and I will be happy to help if I can.